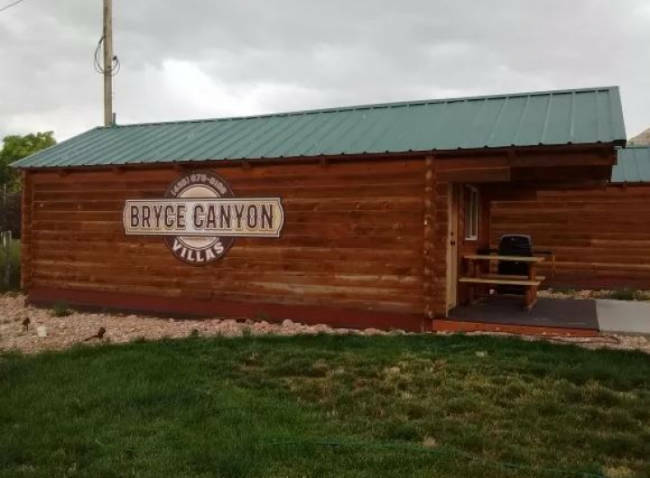 Located just a few minutes from Bryce Canyon National Park and the Grand Staircase-Escalante in Cannonville, Utah, Bryce Canyon Villas offers guests affordable rates, comfortable, newly renovated cabins, and a convenient location. 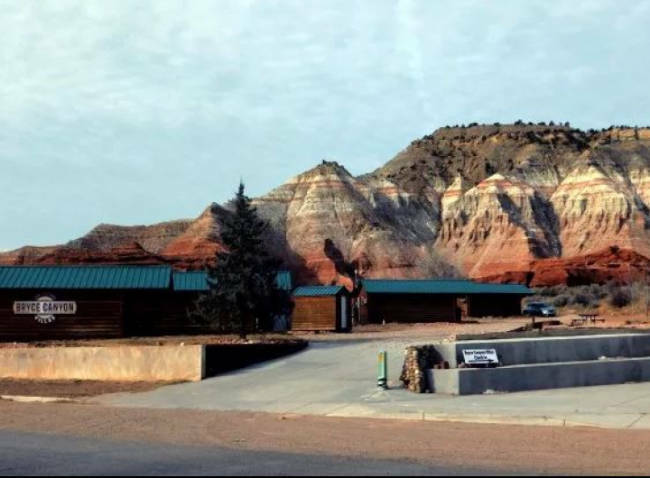 From here, you can easily explore the Grand Staircase, Bryce Canyon National Park, Kodachrome Basin State Park and scenic Highway 12, rated one of the most beautiful byways in the US. Across the street from the lodge is the Cannonville Visitor Center for Grand Staircase and within a short drive, there is a plethora of scenic hikes and dining options in the surrounding area. 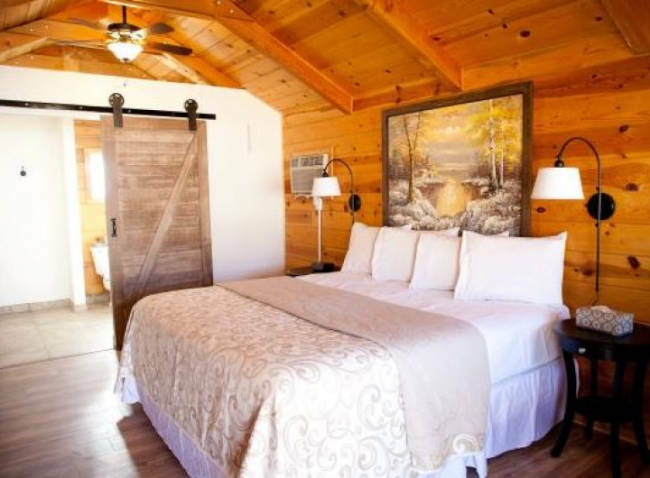 Bryce Canyon Villas offers 5, newly renovated cabins with either 2 queens or 1 king bed. 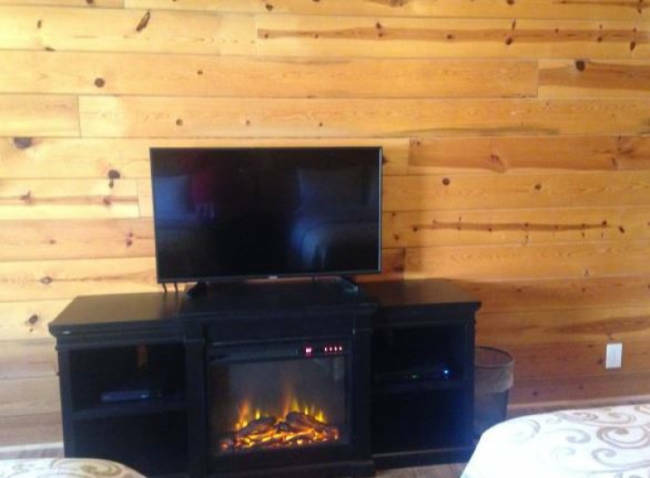 All cabins feature new hardwood flooring, plush bedding, updated cabinets, microwave, mini-fridge, kitchen sink, coffee maker, front porch with BBQ, outdoor fire pit, private bathroom with newly tiled showers, flatscreen television, and electric fireplaces. 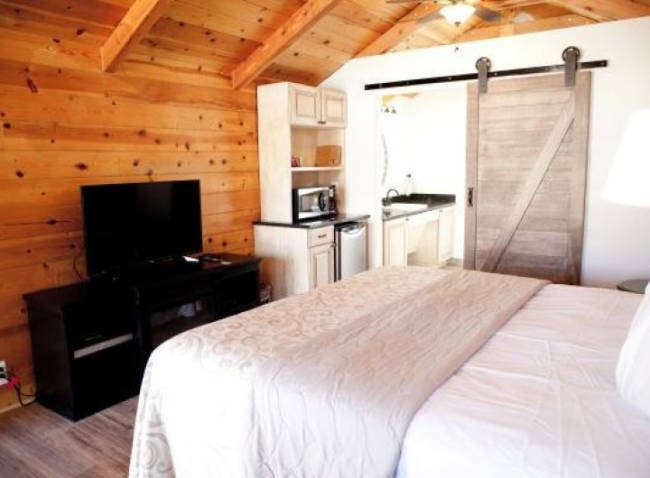 These cozy cabins are perfect for travelers looking to relax after a day of exploring and enjoy the surrounding backdrop of the sandstone and red rock mountains. 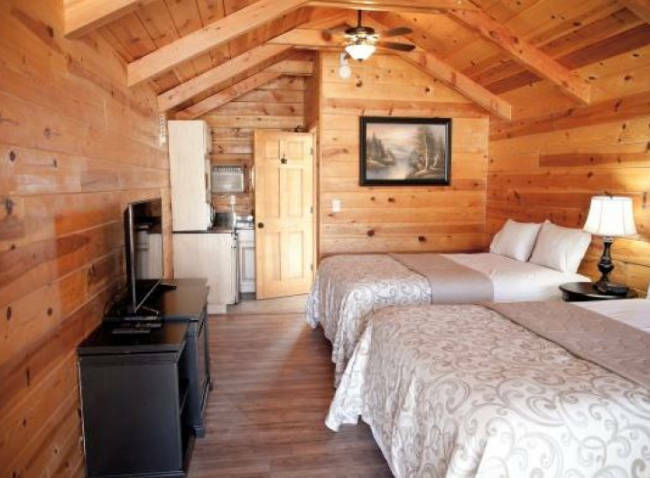 Each cabin features either one king bed or two queen beds, updated flooring, updated cabinetry, and a private full bathroom with updated fixtures. 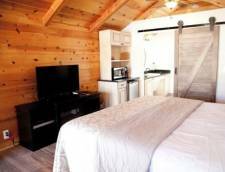 Each cabin offers television with satellite, a small kitchenette, an electric fireplace, linens, and towels. 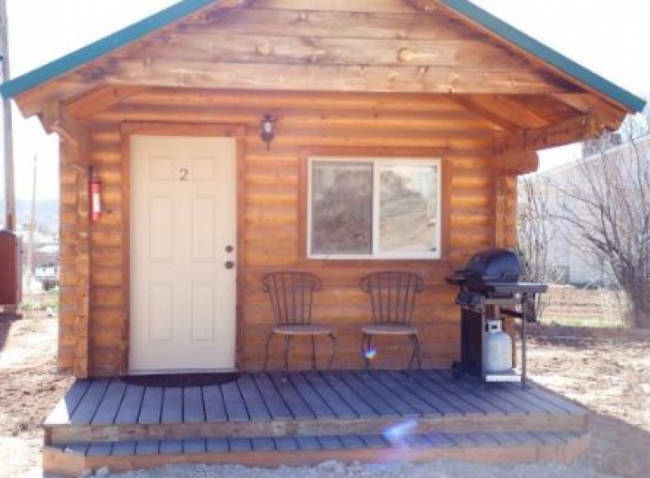 A small porch offers a propane BBQ grill and a picnic table next to the cabin. The king bed cabins are handicap accessible. An advanced payment of one-night rate plus tax is taken upon reservation. You may cancel your reservation 10 days prior to your arrival date, and we will refund your deposit, minus a $20.00 cancellation fee. If you cancel or change your reservation less than 10 days prior to your arrival date 30% of the deposit is forfeited, or check out early, please understand that you are responsible for, and will be billed for, your entire reservation. If we re-book your cabin(s), a full or partial refund will be made. 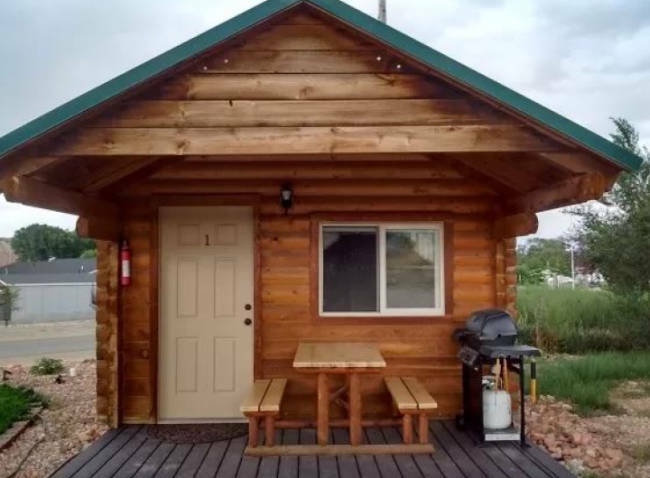 Reservations holding three or more cabins require a 30-day advance notice to cancel or change, to avoid being billed for the entire reservation. Rates Policy: Applicable taxes subject to change without notice.